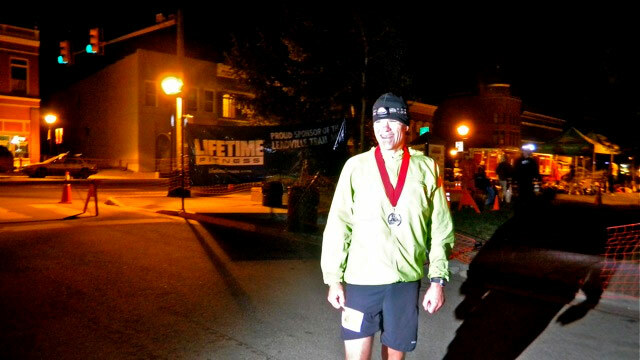 ultra marathon Archives - RunStuRun :. This week started well. I recovered quickly from Sunday’s effort and jumped back into the fray on Tuesday with an excellent, albeit windy run in Boulder. Headed west on the Creek path (into the wind) then spun at 2.5 miles and did 7, 1:20 surges. Felt great. Got a new pair of skids too, which is always a treat. Garett Graubins set me up with Boa lacing systems on some Brooks Adrenalines and I must say, “Stu likes.” Very easy to use, feel lighter (for whatever reason) and are definitely trick. Wednesday, I headed down to Boulder early to meet up with the group for a tempo run. Started out on my own and spun a big lap in more clothing than necessary even in sporadic snow flurries so I shed some layers and queued up for the tempo portion of the day’s event. 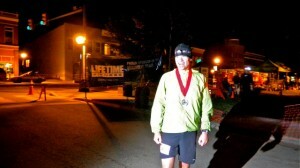 Art Ives and I hung together for about 4 miles then he cut me loose and I finished the last two miles solo. I am still not the fastest guy out there but have managed two weeks in a row with negative splits each mile so that is quite nice. All in all a great run. That’s when things went pear shaped. I had to take a meeting in Denver and grabbed some food on the way at a restaurant I have frequented over the past 20 years without incident. Well, my luck apparently ran out and though I felt awesome for the rest of the day and went to be a happy camper, I was rudely awakened at 2:00 with a “not-so-terrific” feeling coursing through my bod. “Not-so-terrific” soon turned to much, much worse and for the next 6 hours I alternated between puking up my toenails and full-body convulsing. Rach even dreamed that we were at a dinosaur exhibit and my ralphing was the sound of one of the creatures that was a) a bit too loud and b) wouldn’t stop. Lovely. I spent all of Thursday in bed, lost 5 pounds in 12 hours and am just now getting back on positive terms with solids. My abs look awesome, however. So though Thursday was a bust, I was able to get out for a brief, relatively unpleasant run on Friday and am hoping to extend the duration and minimize the unpleasantness today. All will be taken in stride, sometimes these things happen, but don’t ask me to join you for Middle Eastern food anytime in the foreseeable future. Posted on April 10, 2010 Categories art ives, food, ultra marathon, Ultra runningTags Boa Technologies, Food Poisoning, Garett GraubinsLeave a comment on Ka-PLOW….